Billionaires Creatively Barter For Use Of World?s Largest Dome Structure! Two Los Angeles companies, owned by billionaires Philip Anschutz and Rupert Murdoch, have bartered their services for use of famed dome in England, i.e. ?Give us the use of your property and we?ll turn it into an income producer, which we?ll share with you!? The billion dollar monument, known as The Millennium Dome, is located on the Thames river in London and covers almost 20 acres. It?s billed as the world?s largest single dome structure. The two famed entrepreneurs have formed a joint venture, the Anschutz Entertainment Group (AEG) and its minority investor Fox Entertainment Group. Their plan is to erect a glitzy entertainment district with the centerpiece being a 23,000-seat arena to be built inside the dome, slated to open in 2007. London?s 2013 Summer Games will showcase Olympic basketball and gymnastics there. The barter arrangement gives AEG leasing rights to the Dome, at no cost, for 58 years with an option for an additional 55 years. In return the British government will receive a share of the profits from the activities held in the Dome...which has been sitting empty since 2000. AEG has already signed a $15.5 million-a-year naming rights deal with O2, the British cellular telephone giant. And they?ve sold more than half of the arena?s 96 luxury suites at $200,000 apiece. Editor?s note: While most people know about Rupert Murdoch?s many accomplishments, less is known about Philip Anschutz, the other out-of-the-box thinker. The 65-year-old longtime Denver resident, made his fortune in oil and gas, railroads, telecommunications and real estate. During the last decade, his holdings have expanded to include sports franchises, Hollywood film-production studios, live entertainment, movie theaters, and daily newspapers. Google?s recent cash-barter deal with AOL revolves around not only the sale of 5% of AOL to Google for $1 billion, but additional advertising value through the ?exchanges? each company received in the agreement. AOL will now be able to sell non-search ads to Google?s advertising partners and earn commissions, and Google will begin to offer traditional Internet ads plus provide favored placement to content from AOL...something it has never done before. Additionally, AOL?s treasure trove of video clips will get placement in Google?s fledgling video service. A forecast released by the National Restaurant Association projects U.S. sales to grow 5.1% next year to $511 billion. California restaurant sales will grow 6.2%, totaling $51.4 billion. Nevada will likely have the highest sales growth in the country, followed by Florida, Colorado and Texas. Sales at U.S. full-service restaurants are expected to grow 5.2%, compared with 5% for fast-food eateries. Trends for 2006 include a heightened focus on health and nutrition, increased interest in wireless Internet service at restaurants and more consumer demand for convenience, including drive-through windows, curbside service and takeout. Competition continues unabated. In Orange County, California, for example, major upscale restaurants like Morton?s steak house are offering patrons $100 gift certificates when they purchase a $500 gift card. ITEX Corporation (OTCBB:ITEX) announced results for the first quarter of fiscal year 2006, ending October 31, 2005. It was the first period to report fully combined operations for ITEX and BXI, which ITEX acquired at the end of the 2005 fiscal year. ?Although we incurred and expensed integration costs this quarter, we still realized a respectable profit,? CEO Steven White pointed out. ?And the integration of the BXI member database and broker network has been completed.?
? Revenue was $3,721,000, compared to $2,507,000 for the first quarter in fiscal year 2005, a 48% increase.
? Operating income was $348,000, compared to $227,000 for the prior year?s quarter, a 53% increase.
? SG&A was $681,000, compared to $604,000 in the 2005 first quarter. The increase was due to integration costs, increased staffing, overhead, and other office expenses needed to support the acquired BXI members.
? The company expended $112,000 for BXI integration costs.
? Assets increased to $9,471,000, from the fiscal year ending balance of $9,125,000 on July 31, 2005.
? Business members participating in the ITEX Marketplace increased to more than 22,000 from 13,400 in the prior year?s quarter. 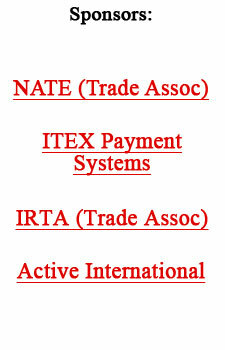 ITEX Corporation?s report on Form 10-SQB can be found at www.sec.gov. Editor?s Note: In our December 6 issue we reported on the observations and research of Jack Lessinger, suggesting that many Americans will opt for a lifestyle that is calmer, less densely populated and much cheaper. He claimed the next big wave in housing will be Penturbia?urban developments in rural regions. Herein are some additional comments about the housing market. MassINC, a non-profit public policy think tank, reports that 25% of Massachusetts residents say they would leave the state if the opportunity arose. The No.1 reason cited was the high cost of living coupled with housing?s lack of affordability. Economy.com says California suffers a net loss of 100,000 residents a year, as homeowners cash out of appreciated houses and move to Arizona, Washington, and Oregon. And as prices have climbed in these three states, the latest trend for Californians? search is the Midwest where spacious houses are available for half the cost of similar space in Los Angeles. The once bucolic suburb of Long Island, now a heavily developed region next to New York City, sees a similar trend, with 45% of the residents indicating they might move out during the next five years. Younger Long Islanders (ages 18 to 34) are spending more than half of their income on housing. There are signs too that Las Vegas is no longer the draw, as the median house there has leaped to $283,000. Las Vegans, in fact, are starting to pull up stakes for cheaper markets in Arizona...such as Phoenix, Tucson and Chandler. The Office of Federal Housing Enterprise Oversight, which regulates Fannie Mae and Freddie Mac, reports that Phoenix is now the hottest market in the country. Home values have surged 55% over the last 12 months. In California, most gift cards (and gift certificates) cannot contain an expiration date or a service fee. That policy does not apply, however, to multi-use cards like mall or bank-issued cards which can charge ?a dormancy and/or maintenance fee? as long as it is disclosed. The Simon Property Group, an Indianapolis-based real estate giant that owns malls across the U.S., has a gift card that charges a $2.50 rolling monthly administrative fee after 13 months of issuance. Recently came across an old friend, Jim Straw, the author of a course that provides excellent information on earning finder?s fees for bringing buyers and sellers together. In 1978 Jim wrote his first study on the subject. For more information on the subject check out www.businesslyceum.com. International Monetary Systems (OTCBB:INLM) reported record revenue for the month of November, processing more than $6 million worth of trades which produced gross revenue of $696,000, a 39% increase. The company has also re-enrolled for Investrend Research Institutional coverage. According to CEO Don Mardak, enrollment in standards-based research is an important measure of a company?s commitment to transparency and good governance. Analysts are paid in advance and no one associated with Investrend Research may own or trade in the equities of companies under coverage. At the WTO talks in Hong Kong, Tom Donohue, president of U.S. Chamber of Commerce, announced, ?For 50 years we?ve been telling people (of the poorer nations) how to run their lives and their economies, and now they?re doing it. We?ve got to deal with it.? Evidence of greater empowerment among such countries was the alliance of 110 developing nations, which immediately set a list of trade-agreement goals and a manifesto. Both of which raised pressure on the U.S. and the EU to compromise. The last day of the event an agreement of historic proportions was met by all 149 member nations. The wealthy nations agreed to end farm support subsidies by 2013. Additionally, duty free and quota free privileges (of at least 97%) will be granted to poorer nations by 2008.